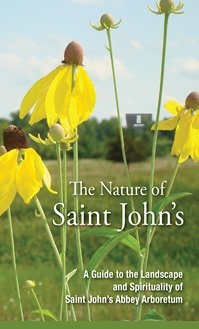 This is the first comprehensive field guide to the natural and human history of the Saint John's Abbey Arboretum of central Minnesota. Its 2,500 acres of forest, prairie, savanna, and lakes have been carefully stewarded by Benedictine monks for more than a century and a half. It is Minnesota's largest arboretum and includes one of the state's finest forests of native oak, the state's first reforesting project, and its oldest planted pines. The guidebook features detailed topographical maps and descriptions of the Abbey Arboretum's hiking trails, descriptions of 120 native species of vegetation and wildlife, profiles of pioneer Benedictine stewards, and meditations and prayers for spiritual renewal, a "lectio on nature." It's an ideal pocket-guide companion for hikers or for those who simply wish to hold the Arboretum in their hands. The Saint John's Abbey Arboretum celebrates and preserves the beauty and richness of God's creation, fostering the Benedictine tradition of environmental respect, spiritual renewal, and education.